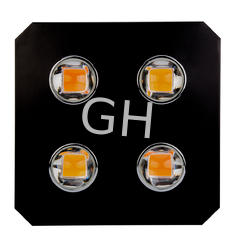 We create a very different LED for plants grow lamp, the name is S-Mars Spectrum. This light has not only abundant Sunshine spectrum, but also strong light energy completely same with Sun. 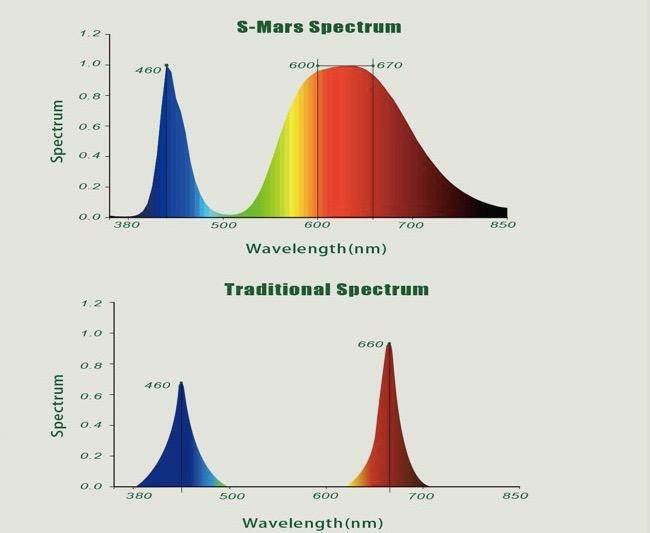 Latest S-Mars Spectrum allows for a greater spectrum range than single color LEDs offered by current market. S-Mars expanded range falls between 350-850nm in series with 600-670nm and 460nm in peaks. We only use one chip to accomplish the task. But current market offered spectrum only is 460nm and 660nm in the peaks. We have been able to incorporate true full spectrum output by an extremely powerful single S-Mars LED, our one S-Mars LED could accomplish tasks which take other manufacturers 11 or 15 individual colors or more to reproduce. This increased spectral range allows for performance that actually exceeds the growth rate of the sun itself in an indoor environment. Why we choose S-Mars Spectrum? 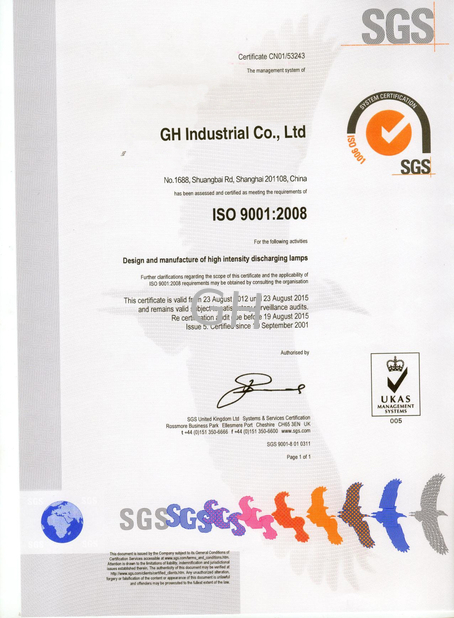 Current market offer single color spectrum has been used 7-8years since first LE grow lamp coming in the world. Technology of spectrum has been mature but it is still not completely replace HIS and HPS plants grow lamps. The reason is light energy is much lower then HID and HPS, such as lumen output. Now we are improving light energy, we realize S-Mars Spectrum has same light energy with Sunshine after we test Par level and compare them. We can confirm latest technology will replace light energy needed by plants from Sunshine. Why S-Mars Spectrum can replace Sunshine, but light energy is more strong than Sunshine? Since year 2007, we have worked with professor Marks who is from Cornell university of USA. We have studied plants growing period in common found plants have more interests on red and blue color, then we started to use blue and red LED light respectively for plant growths on Vegetative and flowering period. The result is improved overall yield and shortened growth cycle of plants. S-Mars spectrum does a big improvement basic on this test result, we have added Sunshine energy on it, and also updated control function into ”Vegetative & Flowering” and “Flowering Accelerator”. Under S-Mars spectrum, Fruit yield more in weight than sunshine environment. Why customer love the King? The newly-developed COB largely combines the advantages of HPS and Sunshine spectrum. COB is twice higher in Luminous sufficiency and PAR level compared with current red and blue grow light, small size, high power work with 90 degree glass lens. Lens is designed according the Prism Principle. It can react most suitable full spectrum and filter unless spectrum for plants, largely accelerate the growth of plants. The refractive index of King 5.1, make from glass, which is stable and will not fade, what is more, we have added photocatelyst to the surface of lens. Under the full sunshine spectrum (Natural light), it can help resolve the dirt on the lens, which can keep a high refractive index all the time. 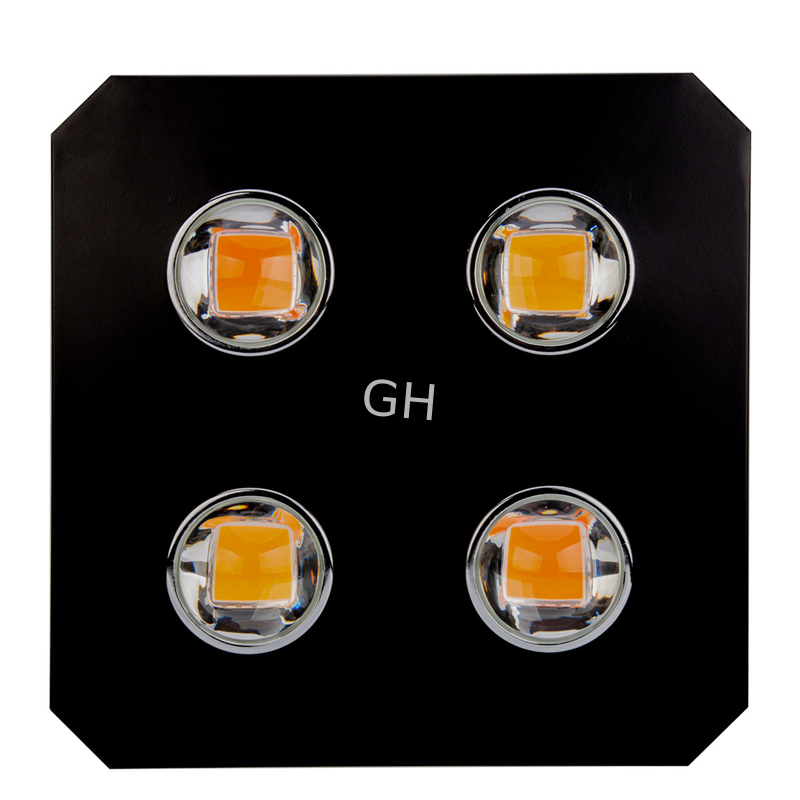 COB LED, Glass lens and heat sink are designed as three-in-one module, insuring the working temperature lower then 50℃. Heat-dissipation rate 30% higher. Cab be used in different environment. Wavelength ranges from 350nm to 850nm. The unique small air outlet and air intake, together an individual cover can prevent insect from entering in. Each Modules have a temperature controller system. 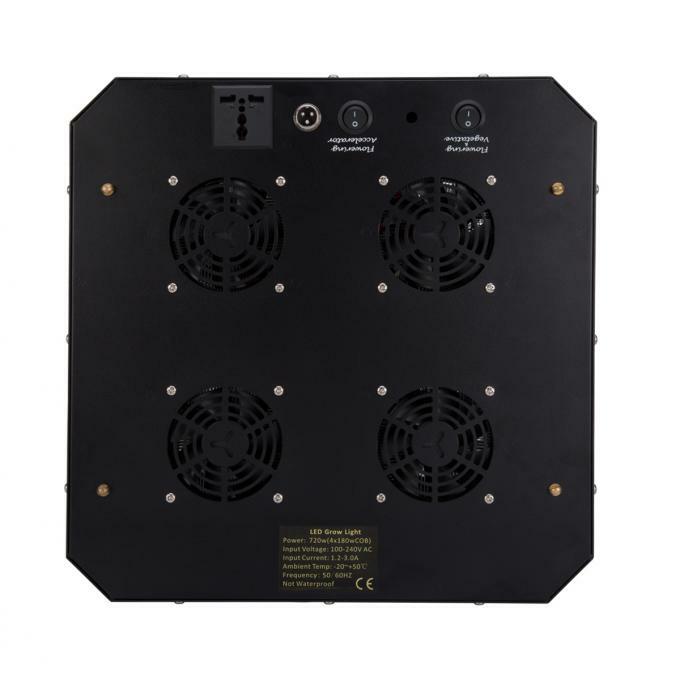 LED will automatic power off when heat sink temperature is higher than 70℃ and LED will try to power on after 5 minute when heat sink temperature is less than 70℃. It maximum protect LED lifetime. 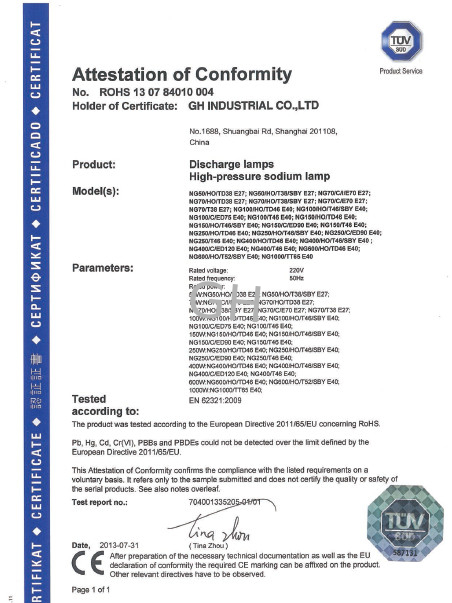 Now we only provide latest technology and product for reseller in the worldwide, and all of new product will not be present on commercial advertising and official website. The reason is we need protect our reseller profit that is always faithful with us.